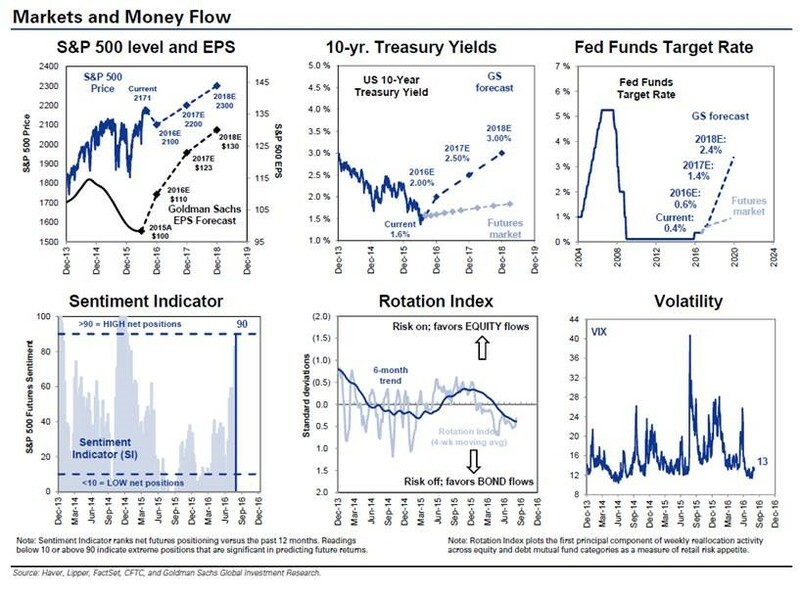 Low vol as a factor has had a mixed year. It outperformed at the beginning of the year during the spikes in volatility in Q1 but gave quite a bit back as the market moved from defensives to cyclicals, basic materials and EM names. That being said, the headline numbers don’t tell the whole story as it’s been a tale of two markets with a narrow group of names outperforming throughout the year whilst others have buckled under the weight of sector rotations…. a bifurcated outcome that acts in many ways as a fair representation of the impact a handful of large tech names have had on the overall market but with some notable differences. Essentially, some low volatility stocks (mainly in consumer staples) were the direct beneficiaries of a market looking for high yielding, long duration assets. As the long bond went, so did these defensive names clearly benefitting from inordinately high levels of interest in bond proxies as rates languished in negative territory. Clearly the market placed a premium for long term dividend yield regardless of the fact that both top and bottom lines have been anaemic for years for these companies. The lower part of the table below shows high growth companies, which have performed very well also, but with convincing earnings growth. Surprisingly Unilever, Nestlé, P&G and Coca Cola are more expensive than Google. Procter trades at 23x nest year estimated EPS versus 25x for Facebook despite immense differences in their earnings growth. Again, it’s not the whole consumer staples group nor is it the low vol factor that is overpriced. Firstly, even though some names appear expensive, consumer staple’s premium to the market has stayed pretty much the same relative to the market and more importantly in line with their eps growth. Secondly, these are household names for the most part that been around for a long time, have by definition inelastic business models which appeals in a deflationary environment, are exceptional managers (Colgate being a clear leader here) and have quite a bit of potential in EM as the middle class grows in countries in India and China. Doesn’t that deserve a premium to both the market and newer (although high growth) digital business models in times of uncertainty? It probably does. “Overall low volatility names are made up of 4 sectors with vol between 8 and 12% vs a market in the 17% range: consumer staples, telecoms, pharma and utilities. 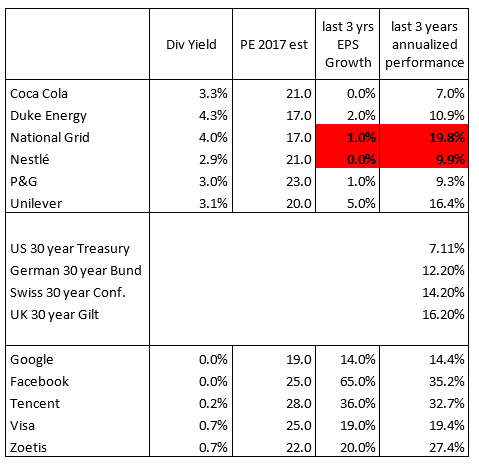 Even though these companies are high yielding and some lack eps visibility, as a group they’re certainly not overpriced relative to the market” states Angel Sanz who works alongside Pierre and acts as Notz Stucki’s chief strategist.